The 24th season of racing will be held April 20 through September 22, 2019. Eligibility rules for stall space for the 2019 race meet. 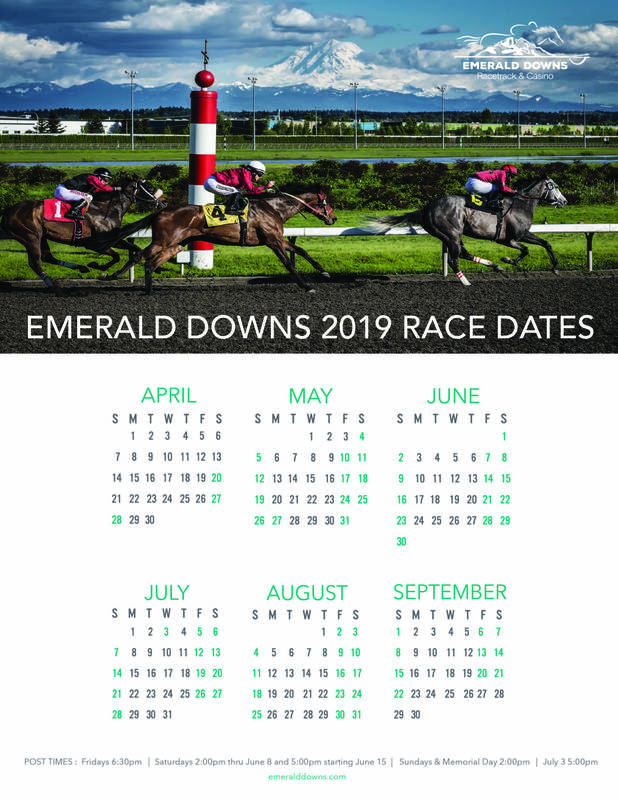 Both forms (Stall Application & Emerald Downs Rules) must be signed and turned into the Emerald Downs Race Office.